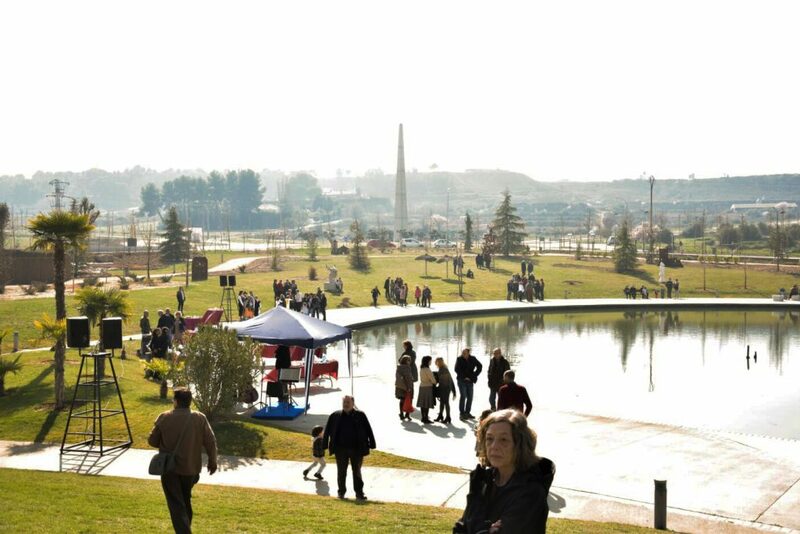 Located twenty kilometres northwest of the city of Lleida, the new ALMA international Sculptural Park stands on the Parque de Europa, a six-acre green area with a 200-ft diameter lake that is currently constitutes one of the most attractive recreation areas in the town. The park, with a variety of trees, hills and green spaces, was inaugurated in 2013 and draws a journey through the history of Europe, from prehistory to the present day, using a series of iron informative beacons, where the visitor can view a synopsis of thought and the era to which each one refers to. In February 2019, the park launched its new facet as a contemporary open-air sculptural space, and each of its hills has been temporarily crowned with beautiful monumental pieces created by some of the currently better-known international artists to provoke poetic encounters between nature, and the beauty of artistic creation. 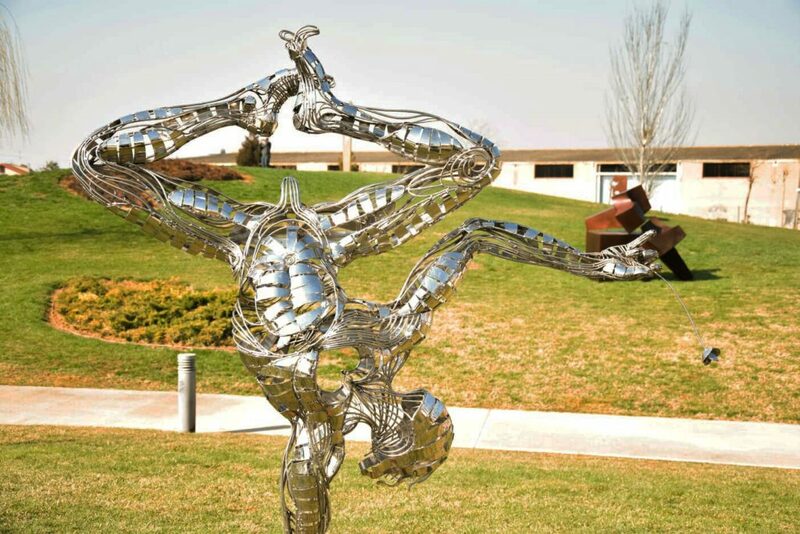 These are sculptures created to be perfectly integrated in an open space, and whose purpose is to pass into the landscape; to enhance the visitor’s visual experience and give them the opportunity to taste the artwork’s aesthetics in a natural environment, outdoors. The various monumental sculptural pieces that have opened ALMA in 2019 do not dialogue with each other, but with the space on which they rest. These will be unique works that will compose an eclectic collection, respectful of the most varied forms and styles of contemporary creation. The idea is to bring the beauty and the communicative possibilities of art to the public, making use of wide-open, multi-use green spaces. Located in the Segriá region, on the border with Aragon, the town of Almacelles – one of its most important towns – is located at the confluence of one of the most important communications networks in all of Catalonia, just 6 kilometres from Lleida Airport and close to the A-2 motorway linking Barcelona with Zaragoza, as well as being the main road connection to Huesca and Pamplona, ​​the main route to the Pyrenees, one of Europe’s most precious and visited tourist attractions. ALMA Sculptural Park is council property and its main objective is the dissemination and promotion of one of the most spectacular forms of artistic expression: monumental public sculpture.